Ukraine is in for a lawsuit. 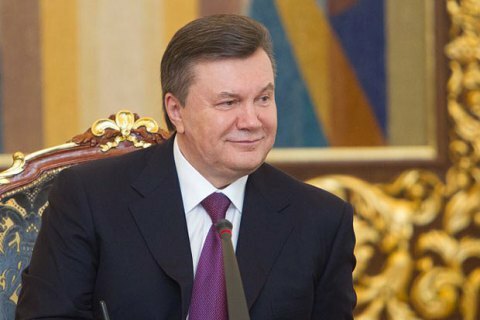 A number of Cypriot companies appealed against the decision of the Kramatorsk City Court of Donetsk Region to confiscate 1.5bn dollars of Viktor Yanukovych's entourage. Interfax-Ukraine reported on 23 May about having received a letter from the lawyers who represent the interests of Akemi management ltd, Aldoza investments ltd, Erosaria ltd, Opalcore ltd, Foxtron networks ltd, Loricom holding group ltd, Wonderbliss ltd, which are, according to the letter, are investment companies that have invested in Ukraine's domestic government loan bonds and are on the list of legal entities to which special confiscation is applied. The lawyers point to a number of violations committed during the adoption and execution of the verdict and say they have already applied to the National Anticorruption Bureau of Ukraine (NABU) with the relevant statements. In particular, the lawyers claim that Oschadbank officials who, according to an official statement of the Prosecutor-General of Ukraine, have fulfilled the court's decision, that was not listed in the Unified register of court decisions. The prosecutor who secured the execution by convincing. Kashkin to confess of the participation in an 'international criminal scheme' also acted against the law, the letter says. The companies claim that several significant violations of the law have been deliberately committed during the consideration of the case and the passing of the judgment. In particular, the trial was held secretly, without summoning foreign investors whose property was subjected to special confiscation, although according to the law, third parties whose property is subject to special confiscation have the same rights as the defendants. The 1.5bn dollars assets owned by the former officials close to the ex-president Viktor Yanukovych have been confiscated in the framework of the verdict in the case of a companion of the runaway Ukrainian oligarch Serhiy Kurchenko, Arkadiy Kashkin, Gas Ukrayiny-2020 CEO. The funds, a significant part of which were the bonds of government domestic loans, have been confiscated from the accounts in Oschadbank and Privatbank and transferred to the state treasury.